PROFESSIONAL PAINT SPRAYER – With even more power. At 925 watts of spraying power, the Paint Zoom Pro electric paint sprayer is a commercial-grade, airbrush sprayer for home use. The Paint Zoom Pro delivers flawless results, allowing for efficient paint distribution and drying once the paint has been sprayed. This power paint sprayer comes with three external paint containers that are easy to replace quickly when you run out of paint, saving you time. 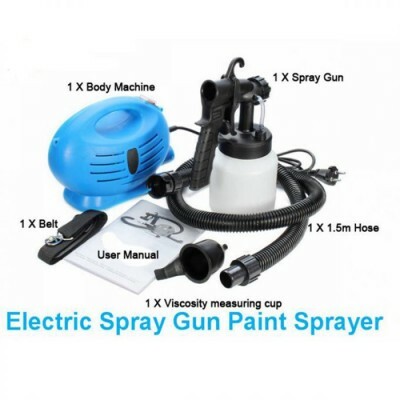 - FOR WALLS, CEILINGS & ANY HOME PAINTING NEEDS – Paint Zoom electric spray gun is compact and lightweight for easy transportation, manoeuvrability, and speed. 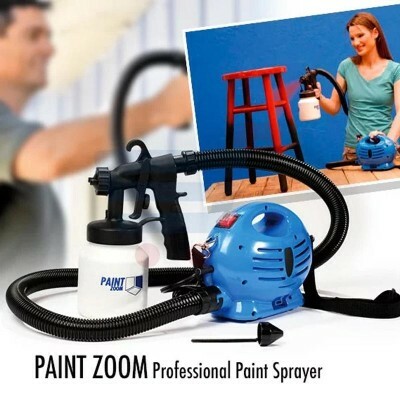 The Paint Zoom Pro paint sprayer cuts the mess and hassle of painting your home in half. While it is still recommended to use a drop cloth and tape in some areas, this sprayer tool is a must-have for anyone looking to repaint their home. 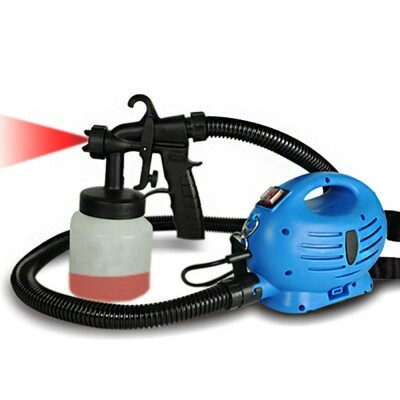 - EVEN FINISH – Unlike airless paint sprayers, or even other electric spray guns that can stutter or otherwise interrupt the even flow and distribution of paint, Paint Zoom Pro tool eliminates the risk of uneven coating. This paint sprayer features a more powerful motor than other sprayers on the market and distributes an even coat of paint every time. 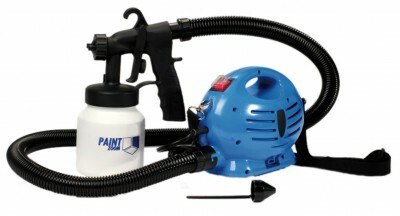 - FOR INDOOR & OUTDOOR USE – Paint Zoom-convenient paint sprayer guns are designed for both indoor and outdoor use. With its rugged, heavy-duty materials, these ruggedly durable spray guns can tackle any paint job, whether it’s for your home’s interior or a job outside the house. 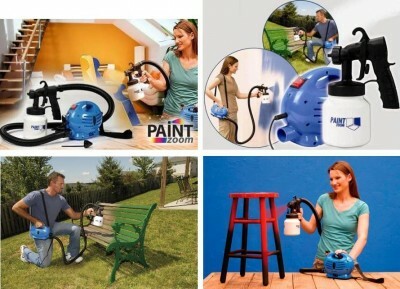 With the Paint Zoom Pro electric air paint sprayer, sprucing up your home with a new colour theme is easier than ever. 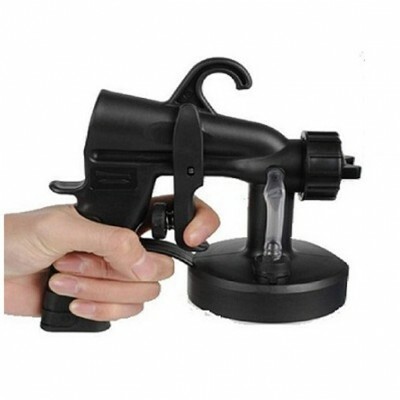 - HANDY EXTENSION & UNIQUE PAINT SPRAYER NOZZLE – This paint sprayer tool gives you maximum directional control with our unique reinforced three-way spray nozzle head. Additionally, its long extension hose gives you even more freedom when it comes to your paint job, taking it to the max. 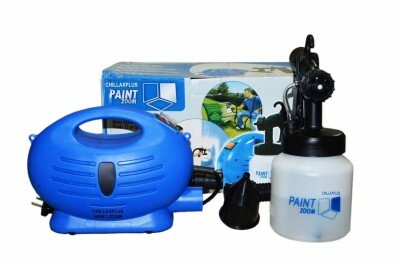 Say goodbye to rollers and brushes with Paint Zoom Pro compressor painting machine. - Technical Details: Item Weight: 3.2 pounds. Product Dimensions : 10.2 x 7.5 x 6.2 inches. Container Capacity : 800ml & Color : Blue. 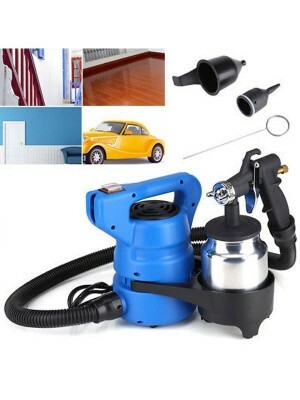 - Package Contents : 1-Piece Main Motor, 1-Piece Air Tube, 1-Piece Carrying Strap, 1-Piece Viscosity Measuring Cup, 1-Piece Spray Gun, 1-Piece Paint Container And 1-Piece Multi-language Instruction Manual.